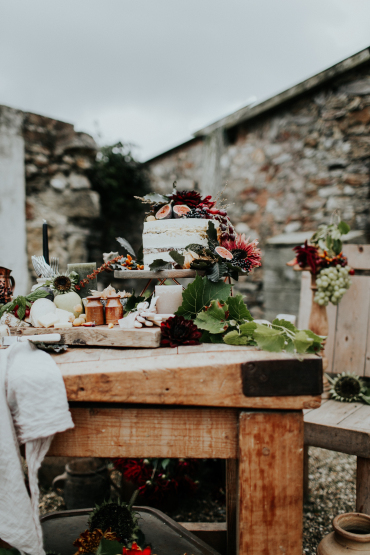 Inspired by Devon and the local flora and fauna in the area, Queen Bee Cakes creates exquisite cakes that are delivered to your door or wedding venue and made from the finest ingredients. 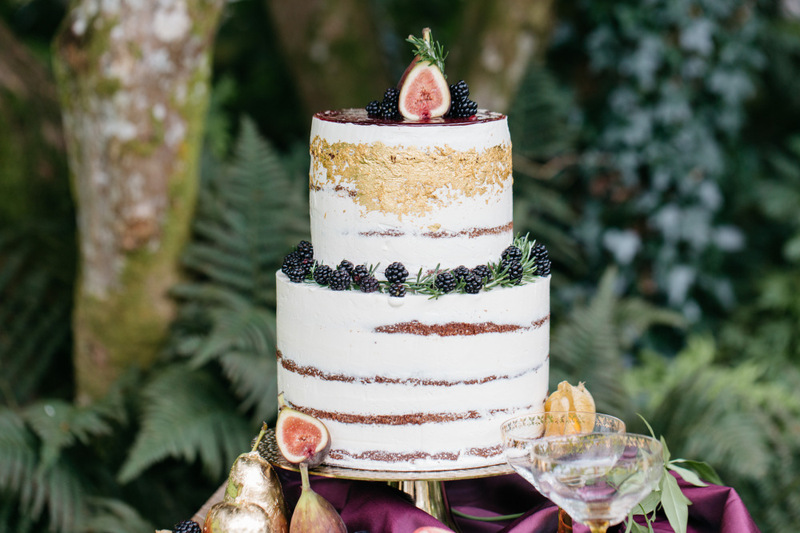 Each cake is unique, and as delicious as it is beautiful. 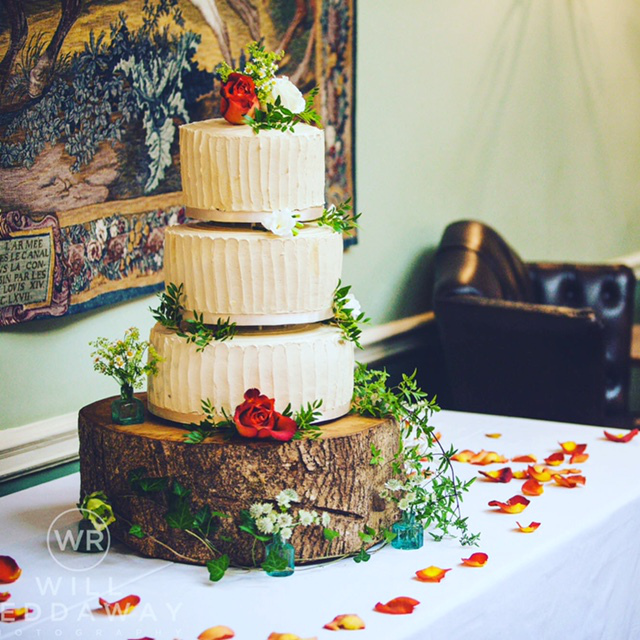 Beautifully and tastefully decorated, Emily is a bespoke baker that is happy to create a cake that is tailored to your budget, wedding theme and personality. Emily Lovett has an extensive 14 years' experience in the food industry, gaining experience in top restaurants and has prepared banquets for HRH Prince of Wales. 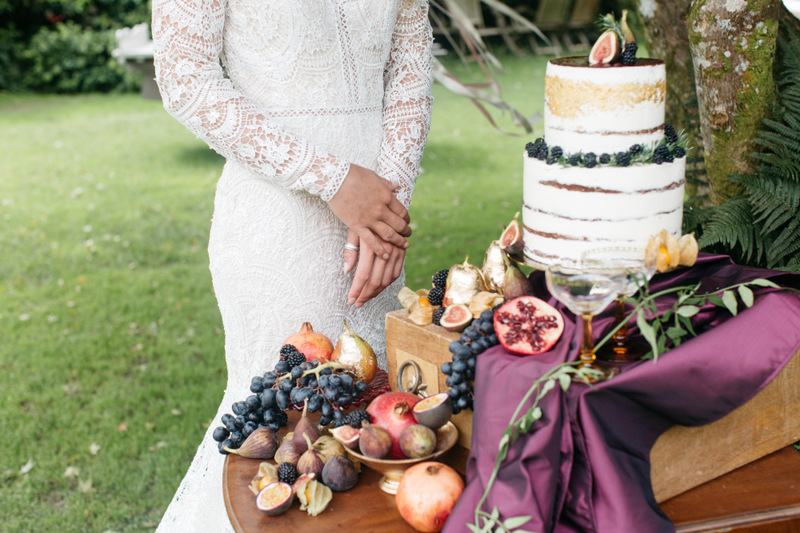 Emily is well known for her 'pear and chocolate' cake and gluten free chocolate and almond cake which are featured in LEON's 'Fast and Free' cookbook. 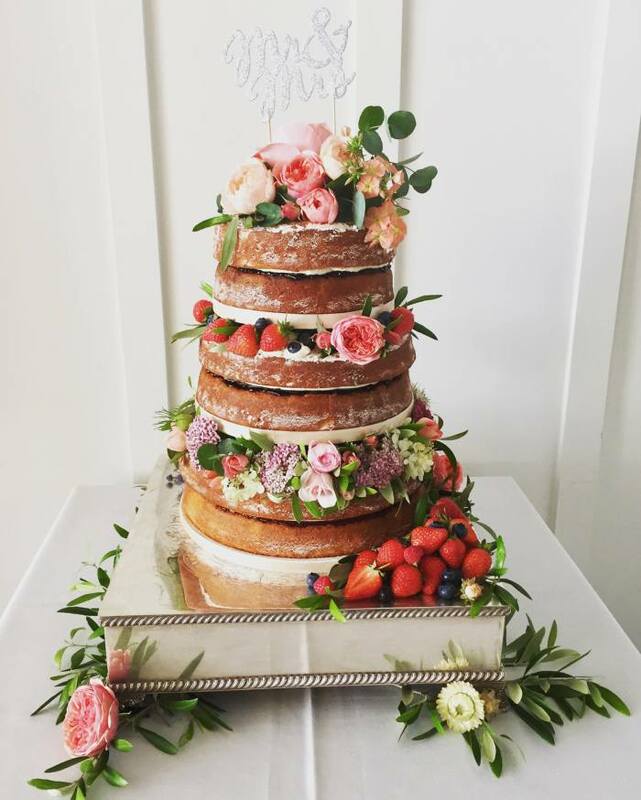 Queen Bee Cakes was created to showcase Emily's talents at baking wedding and celebration cakes. 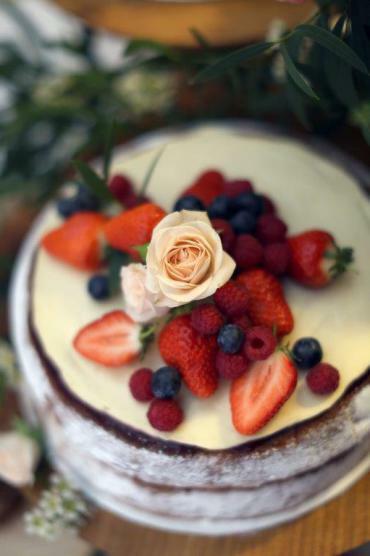 Each cake is lovingly made and beautifully finished using the finest local, fair-trade and organic ingredients. 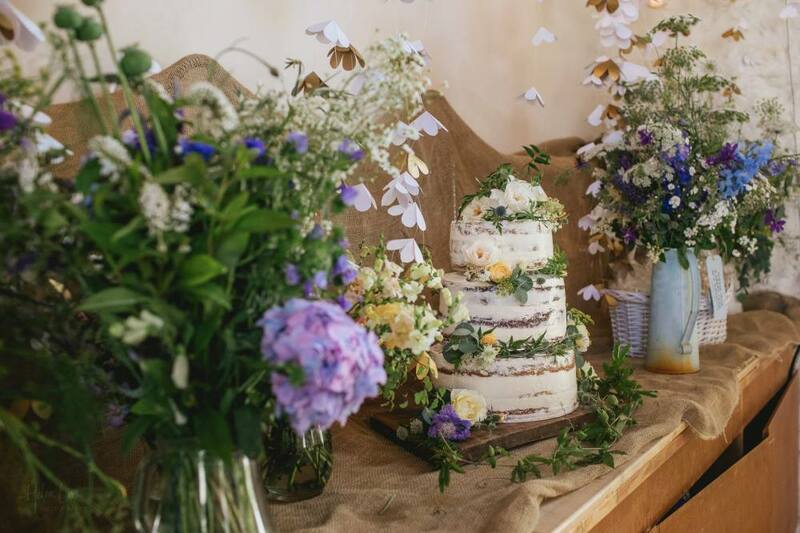 Emily also has floristry experience meaning that Queen Bee Cakes combines both her artistic eye for decoration and her mastered technical skills of baking. 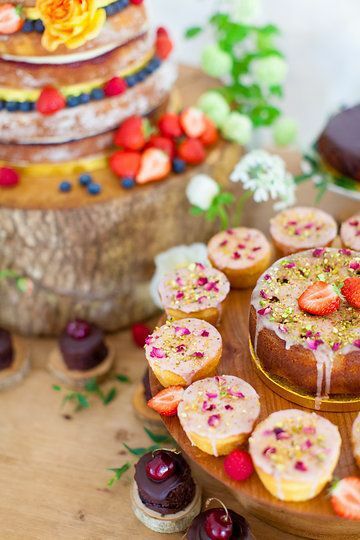 A range of delicious flavours to choose from such as traditional Victoria Sponge with an array of different jams and creams, blueberry and lemon cakes, rich chocolate cakes, lemon almond and polenta cakes, carrot cakes and traditional fruit cakes. 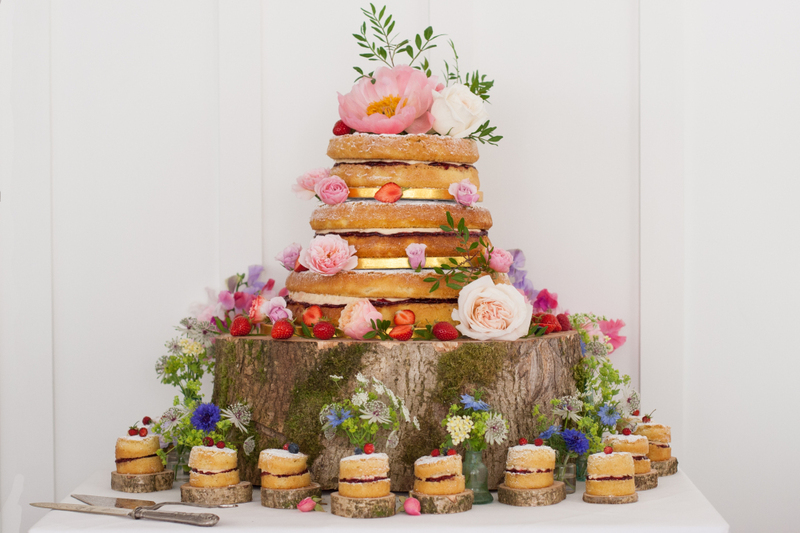 The cakes can be naked, semi-naked or iced with indulgent buttercream, chocolate ganache and elegant royal icing. 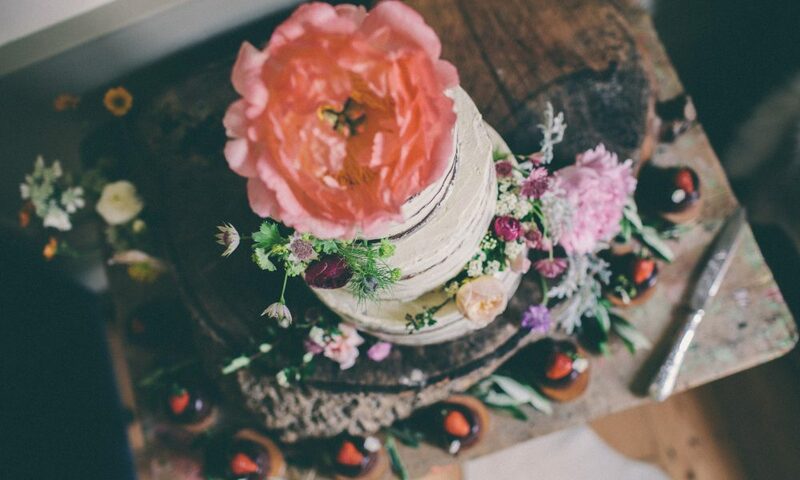 The cake decorations are both romantic and capture your wedding theme. 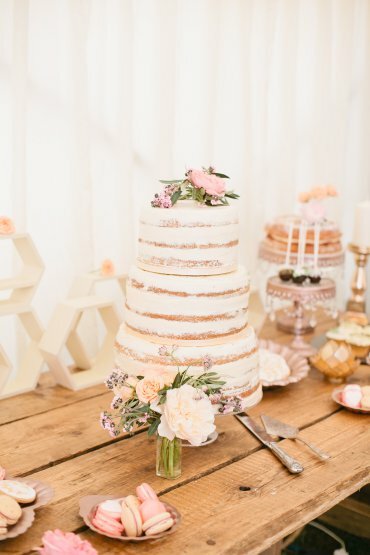 Popular cake decorations have included naked cakes with seasonal fruit and flowers, sugar flowers, ornate piping, semi-naked and iced cakes with gold leaf accents. Gluten Free, Vegan, Nut-free, Sugar Free and Dairy free cakes are also available. 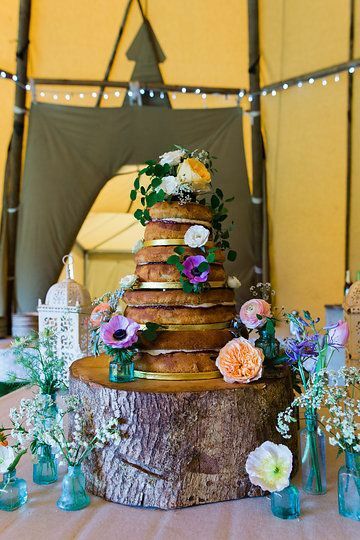 Queen Bee Cakes is a completely bespoke service, therefore you can be assured that your cake is unique and tailored to your needs. Due to this, an in-person or phone consultation is available. 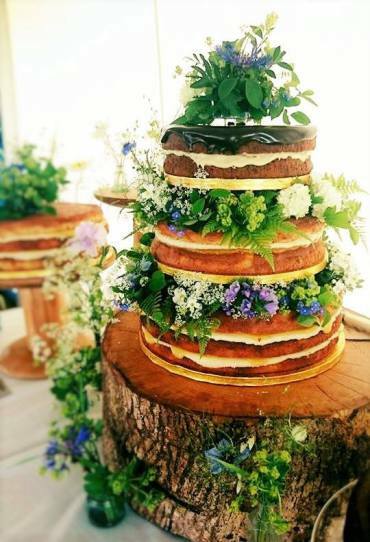 Emily will deliver the cakes locally in Devon to your wedding venue and can travel further afield if required. Collection is also possible. 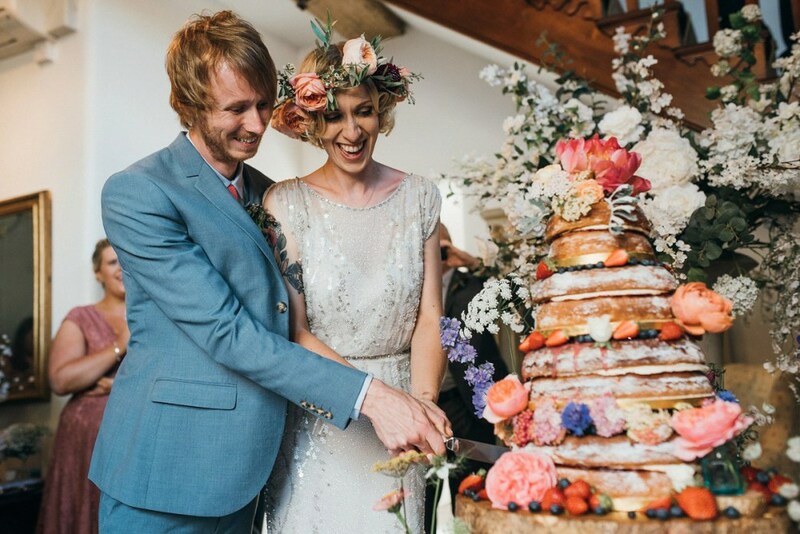 We just wanted to email you to say thank you so much for the beautiful wedding cake and delicious fairy cakes. 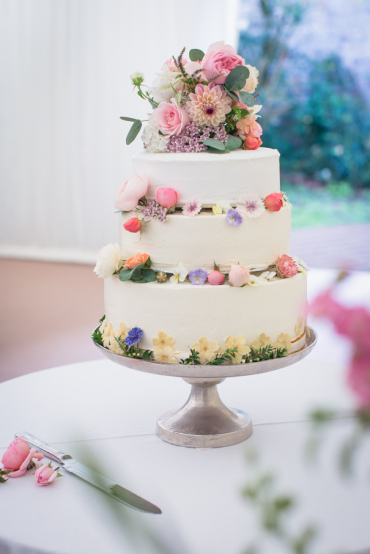 The cake looked absolutely stunning with the decoration. I loved the primroses too. It looked fantastic in the photos people have taken. It tasted absolutely delicious, and we managed to eat the fairy cakes for the next 3 days!!! You have been so lovely and professional throughout the wedding process. We will be recommending you to all our friend. 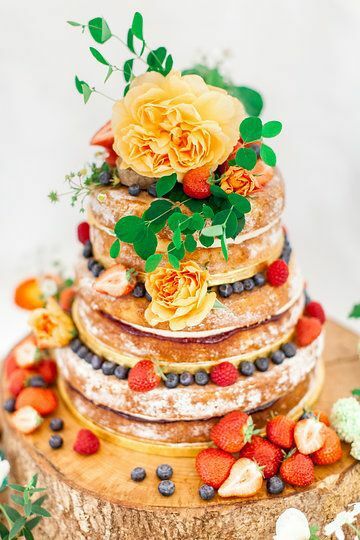 I was sure I wanted a naked cake and Victoria sponges are my absolute favourite so we went for a strawberry and vanilla sponge and a lemon and blueberry sponge. We also has a gluten-free chocolate cake & mini vegan Victoria sponge cakes. 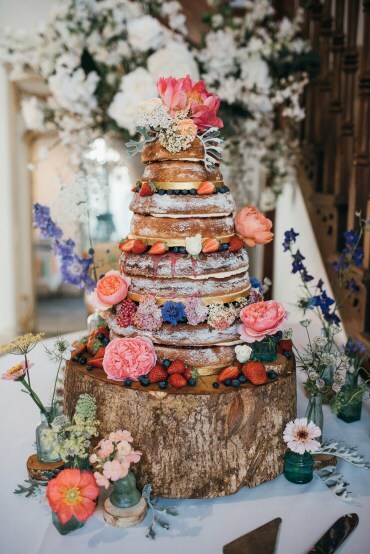 Emily has her own garden and decorated the cakes with flowers and fruit, which looked amazing. 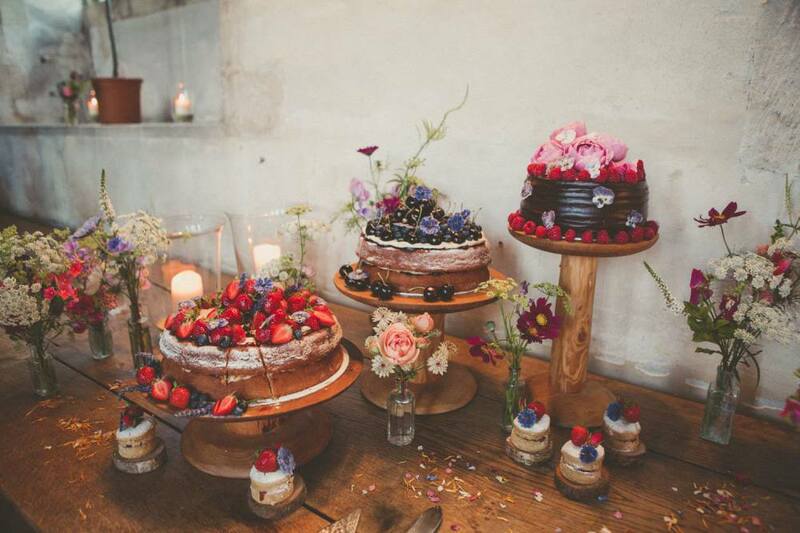 The cakes tasted delicious and all our guests commented on them. 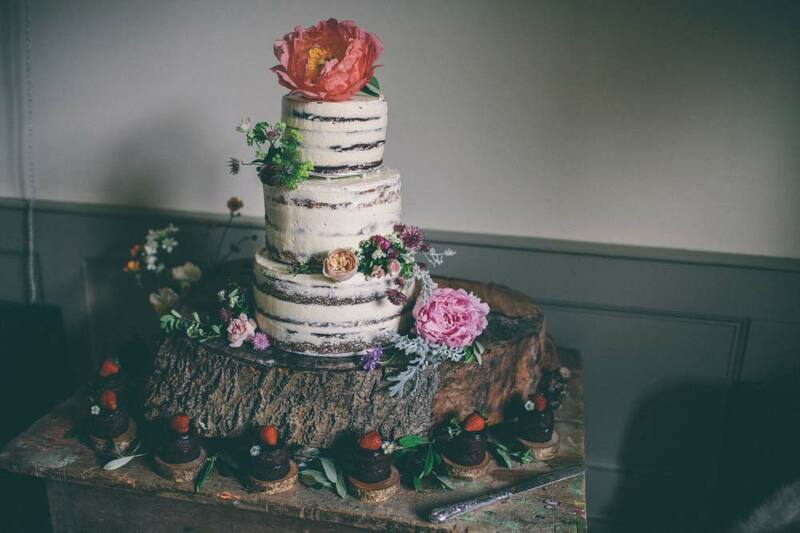 Emily baked us the most amazing cake for our wedding, It completely blew me away when I saw it, but it didn’t just look incredible, it was also absolutely delicious. 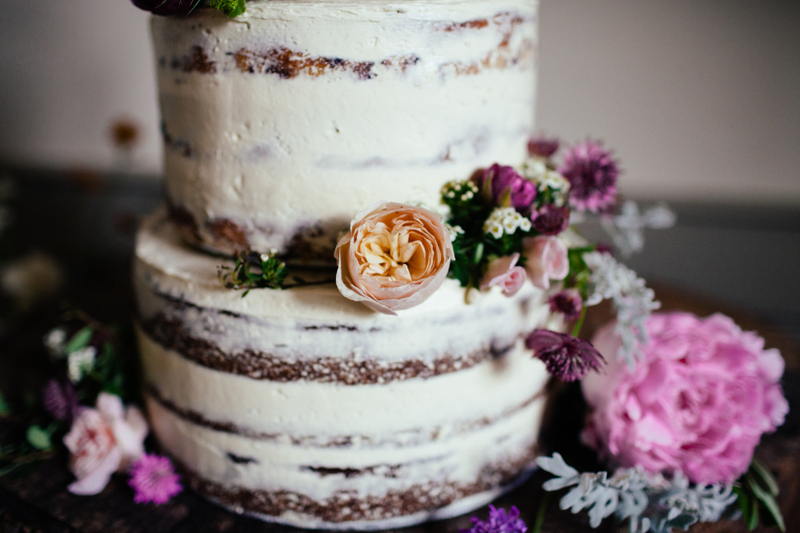 Several people have told us it was the best cake they have ever tasted – particularly the carrot and walnut layer. Let others know what you think of Queen Bee Cakes by giving a star rating and a small review.